Are you someone who has an aptitude for self-study & who just needs some amount of guidance or clarification on doubts or difficult topics? If your answer is yes, then congratulations! You are a whiz kid! You have arrived at the right page. Our Manya-The Princeton Review’s SAT Blend program is a perfect option for those who revel in self-study and only need assistance on doubts and complex topics. Read more on this product……. Encompasses eight structured instructor led online doubt clarification sessions. 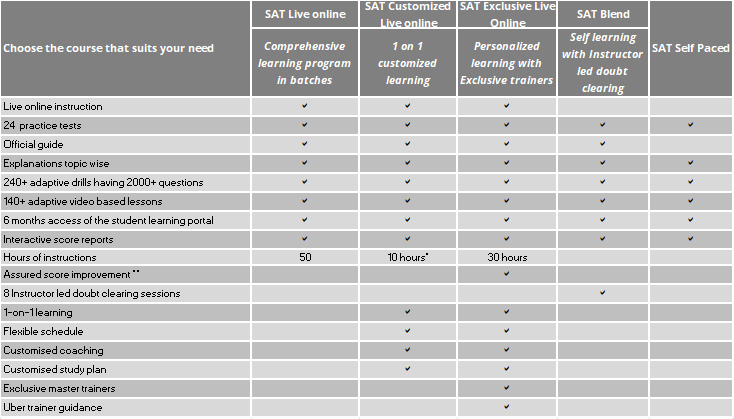 You have an option of utilizing 8 doubt sessions anytime during the course validity for any SAT topic of your choice.